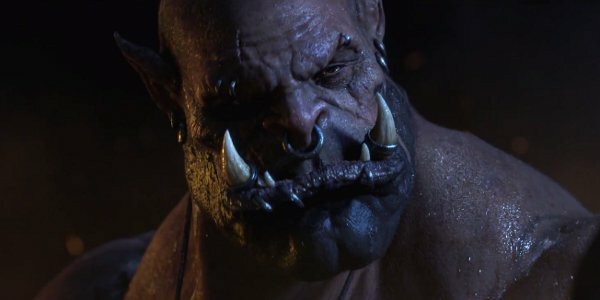 Blizzard debuted World Of Warcraft: Warlords Of Draenor's cinematic trailer today as promised. It looks great but fully understanding it requires some knowledge of Warcraft lore. Fortunately for you, I'm an enormous nerd. The trailer depicts a crucial moment from Warcraft history: the orcs drinking the blood of the demon Mannoroth. Mannoroth belongs to the Burning Legion, an army of demons intent on destroying the world of Azeroth. The Burning Legion's plan was to use the Orcs as their vanguard, wiping out any resistance on the planet. Drinking the blood made the orcs stronger, but also bound them to the Burning Legion. They gladly stormed through the Dark Portal and invaded Azeroth. Their wars against Azeroth's races - the humans, dwarves and elves - were chronicled in Warcraft and Warcraft 2. The orcs eventually escape the control of the Burning Legion, though. The so-called "Blood Curse" is ended forever when Grom Hellscream kills Mannoroth in Warcraft 3. The orcs' years of servitude came at a heavy cost, though. 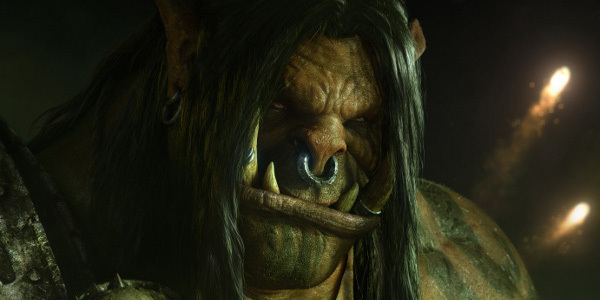 Grom, one of their most respected leaders, was killed in his fight with Mannoroth. The portals the orcs opened to invade Azeroth and other worlds eventually tore their homeworld of Draenor apart. This essentially marooned the orcs on Azeroth with the Alliance, the confederation of humans, dwarves and elves that have trouble thinking of orcs as anything other than bloodthirsty invaders. The orcs were forced to align themselves with trolls, tauren and other races to defend themselves. The Horde eventually turned on itself during the events of World of Warcraft's most recent expansion pack, Mists of Pandaria. Garrosh Hellscream, son of Grom and the leader of the Horde, alienates the other races through his warmongering. These races, led by the trolls, rise up against him. The expansion pack's last cutscene shows Garrosh being defeated and then imprisoned. Somehow, he escapes from this bonds. Freedom's not enough for him, though. He wants to rule Azeroth along with the rest of the orcs - a plan complicated by the fact that all orcs hate him. To find a more receptive audience to his plan, he decides to go back in time 35 years to his homeworld of Draenor. That brings us to the scene in the cinematic trailer. Gul'dan, an orc warlock in service to the Burning Legion, tries to convince the clan leaders to drink the blood. This time around, though, Grom is wise to Mannoroth's scheme. He's been warned of the cost of the Burning Legion's help by Garrosh. He slays Mannoroth as he did in WC3, but this time his son is there to save his life. Now, instead of being thralls to the Burning Legion, the orcs are their own masters. The orcs don't have the supernatural strength that Mannoroth's blood would have granted them. They do, however, have the advanced technology that Garrosh brought back in time. Furthermore, they're not a loosely linked group of clans anymore. They've been united by Grom and his son into an Iron Horde. This Horde is now building up its forces in preparation for an invasion of Azeroth. To recap: the orcs were corrupted by a demons and forced to invade Azeroth. An orc leader goes back in time, kills this demon, and then convinces the orcs to invade Azeroth anyway. Good luck with that, Garrosh! We'll find out how Garrosh's plans play out this fall. The end of the trailer announced a November 13th release for Warlords of Draenor. The closed beta test has been underway since June.